If you have buckets of money and want a skilled instructor, check out this offering at Hollyhock here. This one is definitely on my To Do list one year. 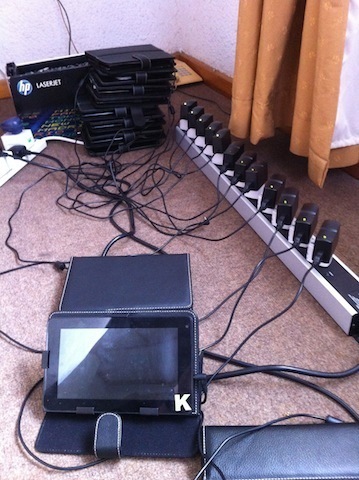 a photo of Kylie's charging station for her 12 offline mobile data collection tablets.